Selling a home for the best price possible is never easy. As the housing market struggles to recover from the catastrophe of 2008, people are finally beginning to become optimistic. They are more optimistic about the money they can get for their homes. 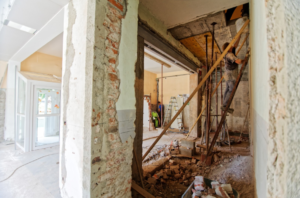 Whether homeowners are looking to recover as much as possible from their underwater investment or if they are trying to make some money on their home, determining what home renovations can be done to help increase your homes value is a common quest. Some sellers have the time and money to invest in large-scale renovations. But many are interested in learning about smaller changes. They can make over the course of the last few weekends before their open house. 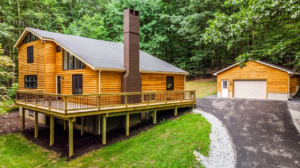 While these investments might be quick and affordable, they still make a great impression on future buyers. These simple tasks can also help increase the homes value and boost interest in the house. Here are few to get started. When owners look to spruce up their homes, they often remember to take care of interior. But forget about the exterior. Buyers like to see the entire picture, and that includes the outdoors. 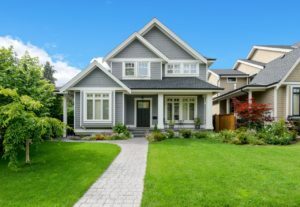 When the potential buyer first pulls up to the curb, their first impression will be made by the yard. When the landscaping is overgrown the entire house can look unkempt. This first impression can cause problems, even if the interior is spotless. Some realtors estimate that homeowners can make up to four times their investment in landscaping back in the house price. With that in mind, do not be afraid to invest a few hours and a few hundred dollars trimming back trees and shrubs. Consider planting flowers and making the exterior as beautiful as the interior. Especially for homes that go on sale during spring and summer. These investments really shine through and don’t have to take more than a weekend and a few hands to accomplish. Kitchens are a critical for selling homes in the current market. While entire kitchen upgrades may take several thousand dollars and months to accomplish, there are also smaller projects that can help accent the room. Many of these projects can be done without the time or financial investment. One of the easiest ways to accomplish this would be refinishing the kitchen cabinets. Although many homes work best with kitchen cabinets that are more light and neutral in tone. Homes with plenty of open space in the area and lots of natural light can also look fantastic with darker finishes. Refinish the cabinets for just the cost of a few cans of varnish at the hardware store. If the fixtures on the cabinets are showing their age or look dated, it is probably best to upgrade the hardware as well. Kitchens are such popular rooms for potential buyers to analyze that nearly any investment, no matter how small, helps to add value. It is not necessary to have an entire bathroom remodel if the core of the room is still in good shape. Instead, perform minor adjustments such as updating the shower curtain, the bathmat and the light fixtures. These simple fixes will make the room look inviting. Even little touches like adding a full roll of toilet paper before showing the house can make a difference. Like the kitchen, bathrooms are rooms that potential buyers scrutinize. Typically, investments in a bathroom can see returns up to 78 percent of the amount spent. Investing in green appliances and upgrades is immensely popular today. These investments are fantastic because they can help you save money. All of this while you still live in the house. And they’re great incentives for buyers. Many green investments, such as new appliances, are eligible for tax rebates from the government. Which can help homeowners afford the new fixtures. For example, upgrading air conditioning or heating systems can help homeowners save 30 to 40 percent on their energy bills. Investing in a new solar water heater can reduce bills by up to 80 percent. The Appraisal Journal estimates that homeowners can get back up to 20 times the amount of annual savings that their green energy appliances provide in their home value. Even without the increase in listing price, green appliances also make the home more appealing and attract more interest. When homeowners are looking for quick and affordable improvements they can make to boost their home’s value, there are a number of options they have at their disposal. Starting with the above ideas can help get any seller started increasing their home value without worrying about throwing money down the drain. Bio: Vicky Clary is the Marketing Director for Curtis Homes, a premier builder of townhomes in Southern Maryland. 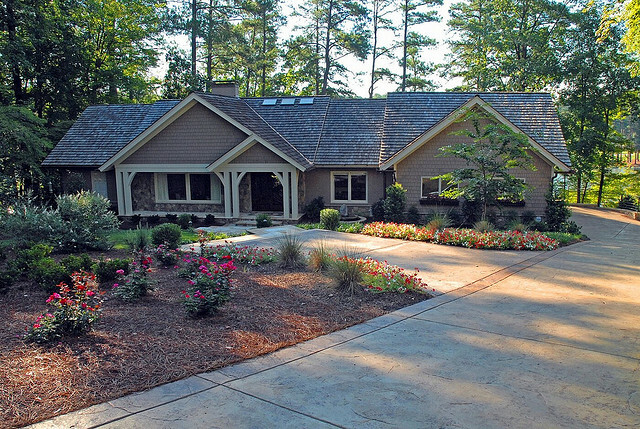 They take pride in building custom homes that are truly personalized down to every last detail.